A BANNER has been unfurled on Castle Hill in Townsville as part a protest against Adani's Carmichael coal mine. 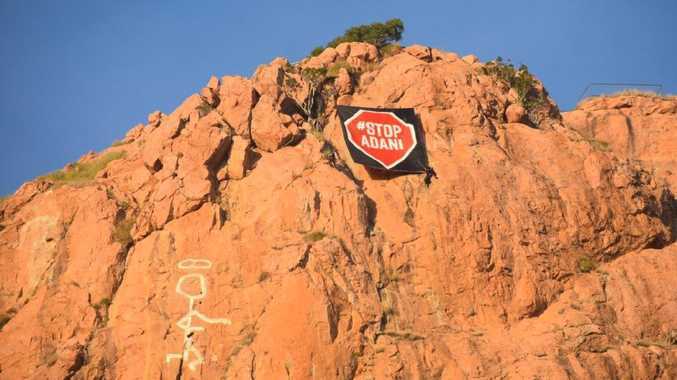 Protest group Frontline Action on Coal posted a photo on Twitter of the #stopadani banner which was placed above the iconic "saint" graffiti on the monolith that towers over Townsville. Stop Adani Townsville member Wendy Tubman said the banner was placed on the hill by a "local group of concerned citizens" who wished to remain anonymous. She said the group likely placed the banner on Castle Hill as part of a campaign against Adani and efforts to prevent climate change. She said the protest was likely linked to the ALP's State Conference in Townsville which starts tomorrow. 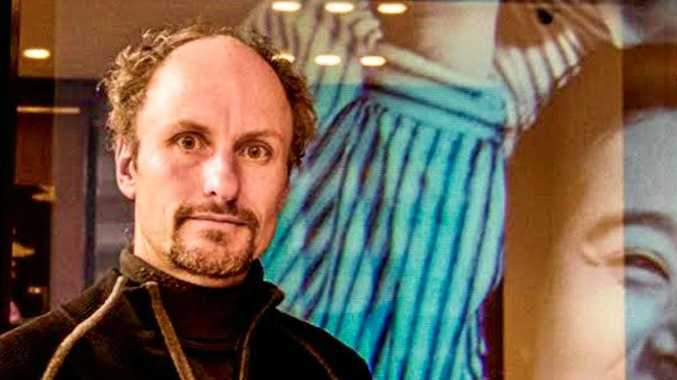 The protest action has been linked to concerns about the Northern Australia Infrastructure Facility which has $5 billion in loans available. Activists say the Adani project should not receive funds from NAIF and have called for Labor to deny Adani any funding. The action is a precursor to a rally planned outside the Townsville Convention Centre tomorrow.